THE MOTHERBOARDS NYC are a trusted alternative source of information on NYC clubs, performers, night culture and history. Our members have included active and former participants in alternative NYC nightlife from the 1970s to all tomorrow's parties. 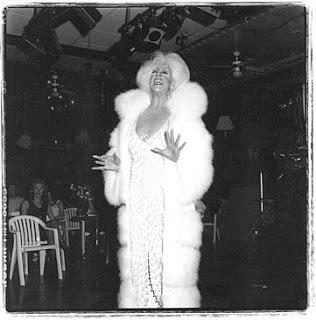 "The Mboards" were founded in 2001 by Nightlife Empress CHI CHI VALENTI as a replacement for her experimental nightclub MOTHER (1996-2000). In the early to late Oughts (pre social media) the boards became an important tool for club promotion. By the Teens they had become a storehouse for nightclub history, elegies and legends. At this writing, Valenti and her merry band are reshaping The Boards to focus on the history contained here. Stay tuned!